I’ll travel the end of the month and I have to do lots of things done before that time. 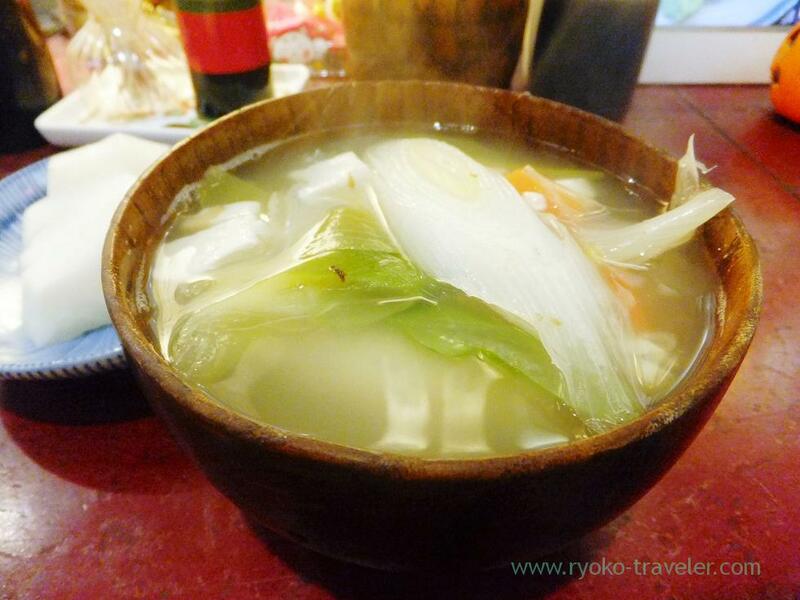 By the way, as I told, recently Yonehana have so many guests and be packed in the morning. To tell the truth, I don’t want to go such a busy Yonehana. 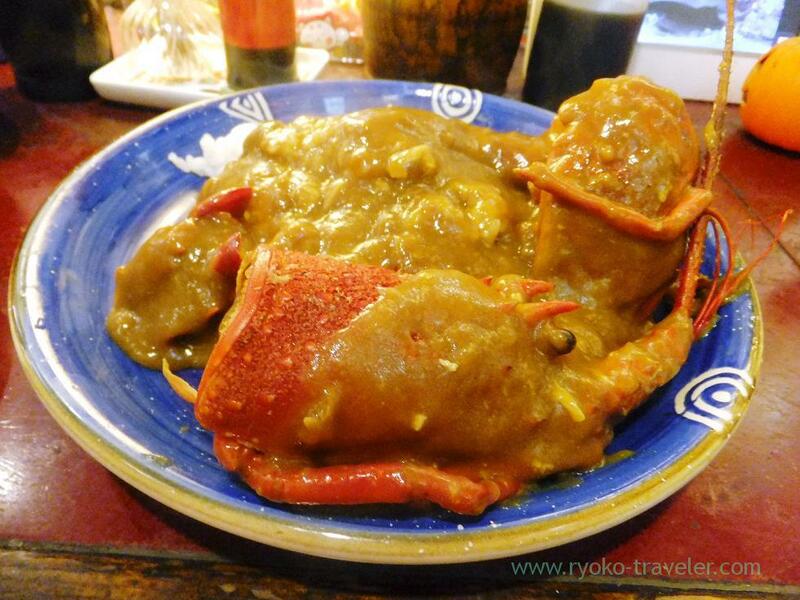 I heard “Today’s chef’s choice” at Yonehana was spiny lobster curry ! I had no choice but to go there ! I waited outside for ten minutes or so and then could enter the shop. It was so packed in the shop as usual. I’m left-handed, so it’s very hard for me to eat at the shop packed by right-handed persons. But I had to stand. 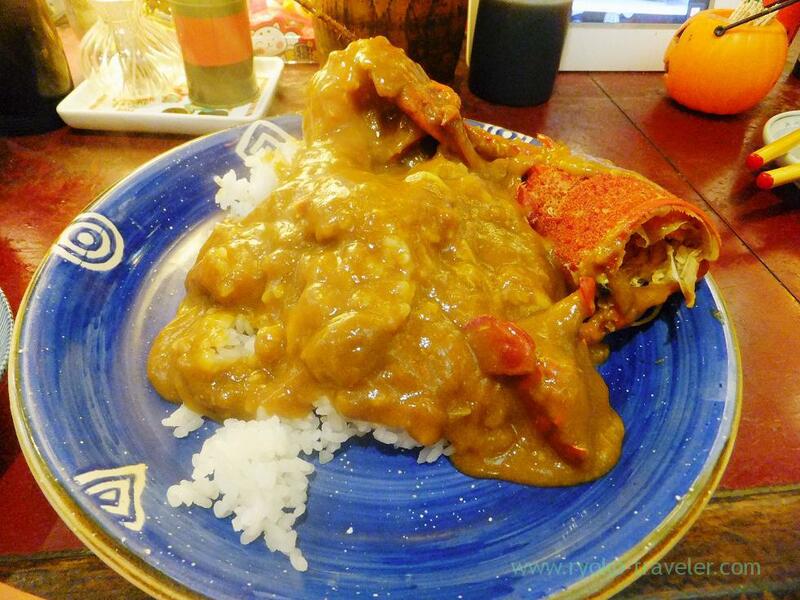 Or I couldn’t eat spiny lobster curry ! Spiny lobster gaze me ! So much flavor of shrimps spread in my mouth ! I found there were some shells in it. Not only spiny lobster, but also some kinds of shrimps were used. It wasn’t spicy at all. I hadn’t eaten such a sweet curry ! This sweetness came from shrimps ! Tofu, green onion, carrots and so on. By the way, Yonehana will be closed from 10 to 12 because some of the staffs feel not good. They were so busy working because Yonehana became too popular all of a sudden. I hope they’ll become good soon.